We are the leading supplier and distributor of Fuel Level Sensor to our valuable clients. Application Fuel, Biofuel, Diesel & Oil. Supply Voltage 12 V DC / 24 V DC. Measuring Range 100 mm to 1500 mm. Protection With Flame Proof Enclosure. We are offering Fuel Level Sensor. Being compact in size these are perfect to monitor fuel level of trucks, trailers, and construction equipment. 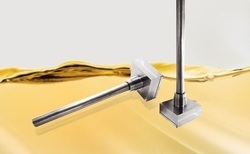 Capacitive sensors help to determine the time and the amount of refueling and drain. Production Capacity: As per customer requirement. Looking for Fuel Level Sensor ?